Read more about Web camera documented the fall of an Imperial Eagle nest for the first time ever! Life of an adopted eaglet can be followed live on the net! There is an Imperial Eagle pair in the Jászság, which has been attempting to breed without any success for years. Their eggs have proved to be infertile. The case was the same this year, however, a healthy eaglet is being reared in the nest and his life can be followed on the net. How did that happen? It is a beautiful family history straight from the eagle nest. Read more about Life of an adopted eaglet can be followed live on the net! On May 4th, an Imperial Eagle chick hatched in the Great Bustard Rescue Centre at Dévaványa in the the Körös-Maros National Park. The egg was rescued from an abandoned nest ten days ago by associates of the national park. The eight-day-old chick was then placed to a nest of its future foster parents on May 13th, close to the Eagle Centre in the Jászság. 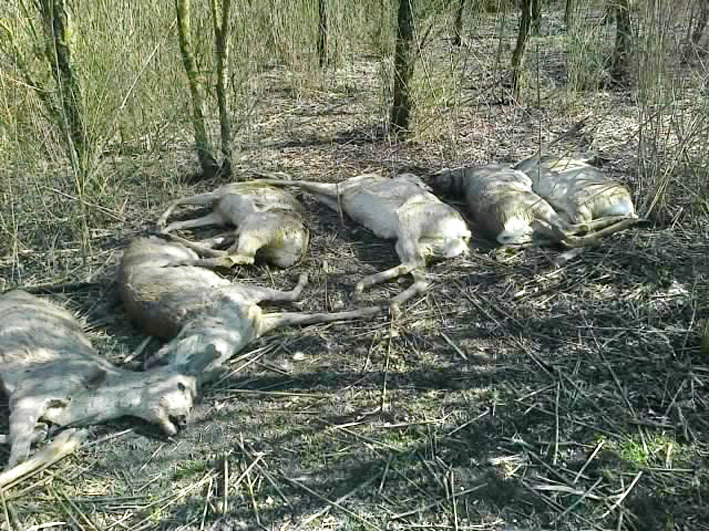 On April 21st, the Duna-Dráva National Park Directorate received a report that a White-tailed Eagle, unable to fly, was found on an arable land near Vékény. The Eagle Centre is handed over! The Eagle Centre, the main element of the HELICON LIFE+ programme running from 2012 through 2016, and which is located seven kilometres from Jászberény along the road to Jászárokszállás, was handed over at a ceremony on Friday, April 17th. Read more about The Eagle Centre is handed over! 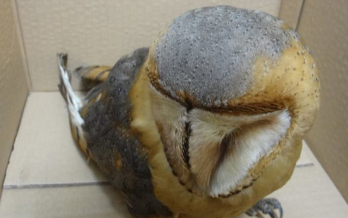 „ Due to those damn chemicals, a Barn Owl, one of the most beautiful and interesting bird in the world, fell victim near Kishantos, a place once free of chemicals. The Orosházi District Prosecutor’s Office began an investigation because of the poisoning cases occurred in Békés County – as the Békés County Prosecutor’s Office wrote in a press release. “Falco”, the detection dog of the HELICON LIFE+ programme, and his handler, Gábor Deák, associate of the MME, had to work hard in the second half of March and the results were disastrous. On March 19, 2005, we received a report about a pair of Imperial Eagles found dead near Jászárokszállás. Experts of MME arrived at the scene and diagnosed probable poisoning. 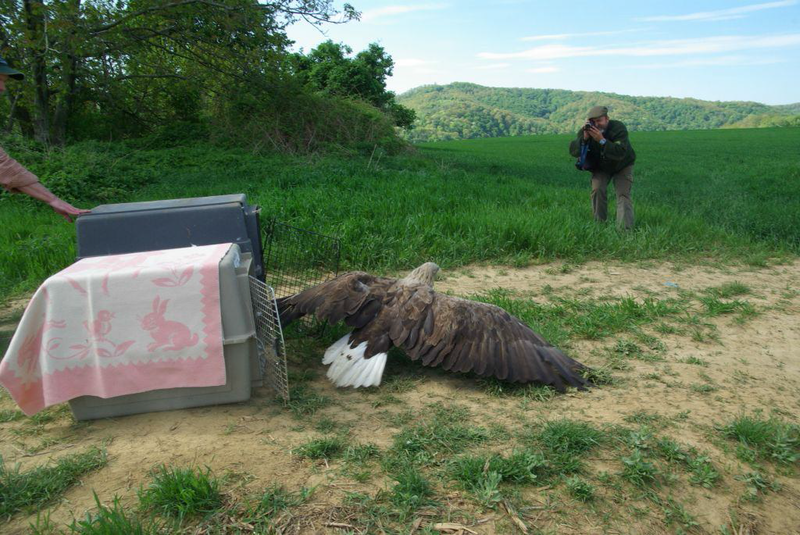 Since MME’s establishment in 1974, there has not been any records of poisoned Imperial Eagles in Hungary. The poisoning rampage has been going on for a decade now and claimed the lives of 76 Imperial Eagles, 101 White-tailed Eagles and more than 600 additional protected and strictly protected birds backed up by evidence, but fortunately human fatality has not occurred yet. Two weeks ago, we reported that “Remény”, who we followed since being in the egg, and his conspecific fell victims to poisoning. Thorough investigation has been launched, but the results of it cannot be communicated yet.